Polo shirt fabrics have come a long way since the early days when they first became a casual fashion staple. Instead of a single type of fabric, shirts are made from a variety of fabrics. As it stands now, the three of the most popular polo fabrics are 100 percent Polyester, Poly/Cotton blend and Snag-free Polyester. Out of the three, Snag-free Polyester is the fabric champ when it comes to efficiency and durability. 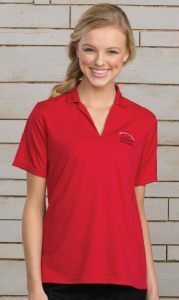 Why Choose Snag-free Polyester Polos? While the basic structure of a standard polyester shirt holds up well under normal use, eventually threads breakdown, causing unsightly snags to form. Shirt snags can form due to regular machine washings or by getting a piece of the shirt caught on furnishings, restaurant appliances and other things. 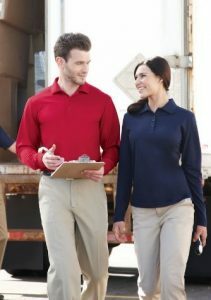 Snag-free polyester polo shirts free you and your staff from worrying over uniform maintenance. The strength of the fiber keeps snags from developing. These polos also have built-in stain resistance, making accidental spills easier to remove and avoiding the costly dilemma of permanent spots. Because these shirts are made of 100 percent polyester, they hold up well in washers, and come out of the dryer looking good thanks to the addition of wrinkle-resistant properties. 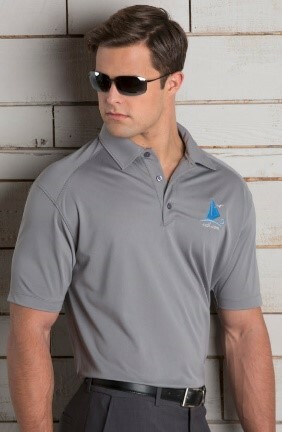 Polyester polos come in designs that put extra emphasis in different types of comfort for the wearer. For instance, moister-wicking shirts help keep employees working in warm or hot environments cool. Stretch fabrics offer added flexibility for all body types. Polyester, Polyester/Cotton, Polyester/Spandex and Snag-free Polyester polo shirts are comfortable for both women and men, mainly because the fabric is breathable and lightweight. Yet, there is one main difference between polos made for ladies and those made for guys. In the end, it’s all about the sleeve length. 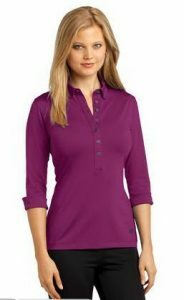 The sleeve length for a women’s polo shirt falls half way between the shoulder and the elbow. For men, sleeves usually go all the way down to the top of the elbow. ← Averill’s Sharper Uniforms Featured in Dec 2017 Issue of Bar Business Magazine!